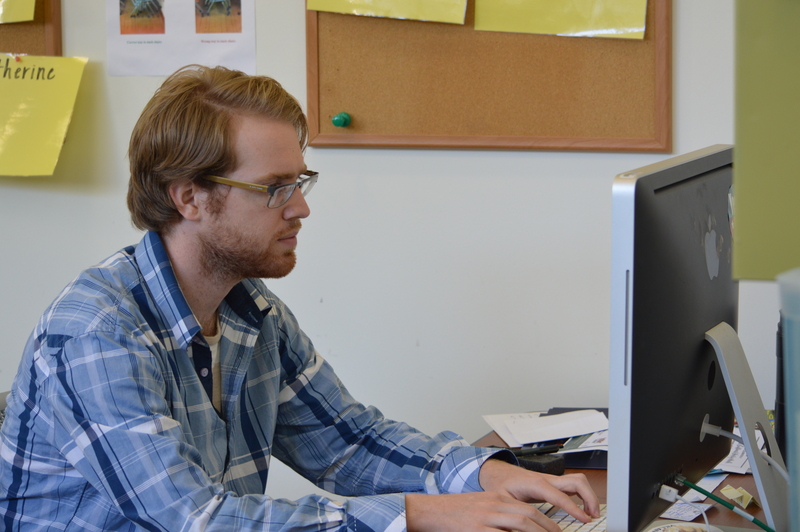 Welcome to the first of a four-part “Highlighter!” All throughout the month, this column will be celebrating black history through the resources available to you at Falvey. 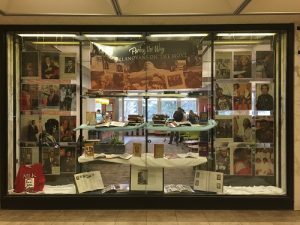 We’ll start this week by highlighting the black history display that our communication and marketing department put together, which will be up all month on the first floor. 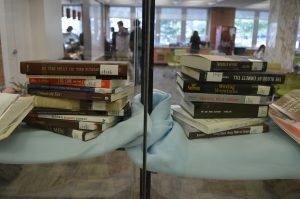 Rabia Koureissi (’19) inspired the display, and Special Collections and Digital Library Coordinator Michael Foight and Distinctive Collections and Digital Engagement Librarian Susan Ottignon helped assemble the materials from the University Archives. Here’s a photo of the full display. You’ll notice large portraits of prominent black community members – among them: doctors, Villanova faculty, and athletes. 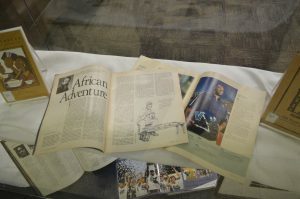 One of my favorite spreads in the display is made up of these two pieces: a profile on Ben Ijalana (’11) – New York Jets tackle – and details on one Villanova scholar’s work in Cameroon. 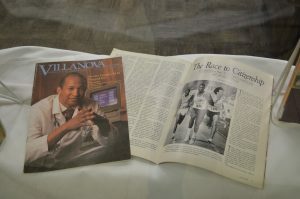 Another great component of the display is this spread that includes a photo of Jerome Candy, M.D., in Villanova Magazine and a story covering Sydney Maree’s (’81) journey from South African apartheid victim to US citizen. 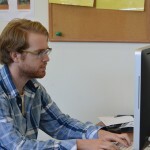 If scholarly pursuits are more your thing, (or if you happened to take Travis Foster’s “Racial Pathologies” course, the one with the excellent graduate instructor intern, ehem,) then check out some of the scholarly works available through Falvey’s databases.